The Red Devils are in need of a striker after Zlatan Ibrahimovic left on a free transfer. EVERTON HAVE ACCEPTED an €85 million offer for Romelu Lukaku from Man United, according to widespread British media reports. The Red Devils are in need of a striker after Zlatan Ibrahimovic left on a free transfer, while Wayne Rooney is expected to follow him out the Old Trafford exit door. Everton had offered the former Anderlecht star the most lucrative contract in the club’s history after he scored 25 Premier League goals last season but he turned it down, saying he wanted to move on to another level. This alerted several clubs to his availability with Chelsea initially the favourites but Mourinho — who enjoys excellent relations with his agent Mino Raiola — looks to have snatched him from under Antoni Conte’s nose. The Toffees have already spent more than €100 million this summer, recently buying Michael Keane from Burnley as well as Spain U21 international Sandro Ramirez. The 24-year-old Belgian international has also been strongly linked with a return to Chelsea — the club that sold him to Everton for €32 million in the summer of 2014. Current Red Devils boss Jose Mourinho was in charge of the Blues when they parted ways with Lukaku, with the Portuguese boss at the time saying: “He wanted to play for Chelsea but wanted to be the first-choice striker. That’s very difficult to promise. Chelsea are also currently in the market for a striker, with main man Diego Costa expected to leave the club this summer. The Londoners will have to act fast if they want to sign Lukaku, however, with United understood to have ended their interest in Real Madrid star Alvaro Morata. Raiola has had a profitable time since Mourinho took over at United last year, with the world’s most expensive player Paul Pogba, attacking midfielder Henrikh Mkhitaryan and Zlatan Ibrahimovic, all his clients, arriving at the club in 2016. Meanwhile, Rooney could come in as a replacement for Lukaku at Everton, with the 31-year-old England international in recent days heavily linked with a return back to the club where he started out. Email “Everton accept Man United's €85 million offer for Romelu Lukaku - reports”. 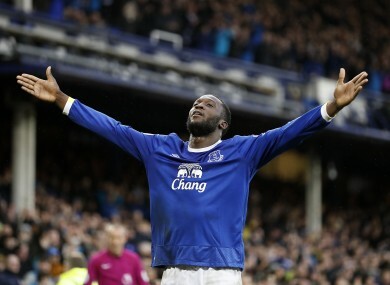 Feedback on “Everton accept Man United's €85 million offer for Romelu Lukaku - reports”.